This stylish counter top bathroom wash basin has a built in tap ledge allowing for easy installation. This freestanding sink is very deep compared to many similar sinks. The bathroom chrome monobloc mixer tap and the chrome bottle tap are available as optional extras. 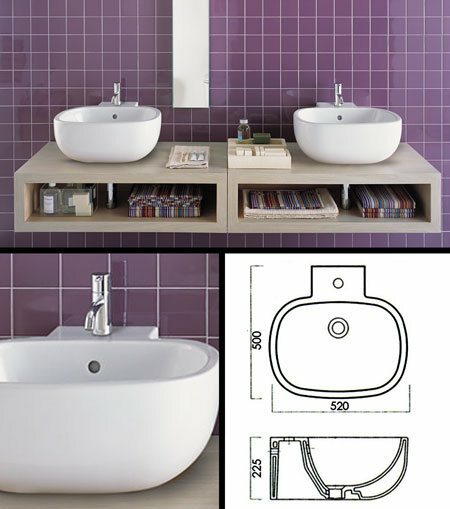 * Deep bathroom wash basin.